An unprecedented access telling of this landmark musical showcase whose history spans dramatic changes in the nature of television, the expansion of digital media, and the ways in which we experience music. Reprinted from Austin City Limits: A History (footnotes omitted) by Tracey E.W. Laird with permission from Oxford University Press, Inc. Copyright © Oxford University Press 2014. All rights reserved. All photos taken by Tracey E.W. Laird unless otherwise noted, used with permission. No part of this excerpt may be reprinted, reproduced, posted on another website or distributed by any means without the written permission of the publisher. In the pilot of Austin City Limits, Willie Nelson performs a set before a live audience seated in a 360-degree arrangement around the band. People sit on the floor, others in short risers, and some move about while the band plays, just as they might in a club—bobbing, jostling, clapping their hands in time with the music. Someone gets up, perhaps to grab a Lone Star, free beer being a prominent feature of any Austin City Limits taping. An audience member looks distractedly off in the distance, only to have his attention recaptured as Willie begins the second verse of “Good Hearted Woman.” Mostly the camera focuses unobtrusively on the performers. Something that catches Willie’s eye makes him chuckle midway through the first line. He smiles at someone in between phrases. The camera tracks the song: a close-up on the harmonica player’s solo, then a piano break. With his eyes Willie cues the harmonica player that the more energetic second chorus is coming with the next down-beat. A key change in double time drives the song to an end and the applause erupts. While the style and look of Austin City Limits has changed during the nearly four decades since this pilot, the spirit of the show remains intact. The pilot communicates the feel of a live, small-venue performance, only a television screen away, and artfully makes that seem not very far at all. During the decade or so prior to 1974, a scene grew up in Austin around the clubs supporting live musicians and the energy generated from the local student population at the University of Texas. 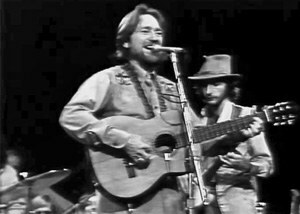 Because of the commercial success and national notoriety of Willie Nelson, Jerry Jeff Walker, and Michael Martin Murphey, the 1974 local scene in Austin correlated with a country-rock hybrid sometimes labeled “redneck rock” or “hip hillbilly.” The same phenomenon had other names too. Steve Fromholz, a singer-songwriter associated with the Austin scene, suggested his own descriptive term for the long-haired, cowboy hat–wearing country-rocking crowd: “hickies,” or people who are “almost a redneck and almost a freak.” Another name, the “cosmic cowboy movement,” came from the title and first cut of a 1973 album by Michael Martin Murphey. Members of the scene self-consciously—at times, defiantly— associated themselves with a particular version of Texas identity. Murphey’s song is a case in point, beginning one verse with a pointed reference to Texas beer: “Lone Star sippin’ and skinny dippin’ and steel guitars and stars, Just as good as Hollywood and them boogie-woogie bars....” Nostalgic in spirit and antimodern in posture, the song draws on a tradition of Texas-centered musical romanticism that dates back at least to 1910, when John Lomax first published his collection Cowboy Songs and Other Frontier Ballads. Lomax emphasized the authenticity of the music he collected—a sense that these songs constituted a valuable treasure from the past, a rare find in a rapidly changing society. Like Appalachia, Texas enjoys a symbolic history as a kind of cultural antidote to modernization: a mythic spot, a world apart from the rest of the country. Scholars and writers like Lomax began a tradition carried on by the phonograph industry and other commercial enterprises. They all cast Texas and its music as distinct from the broader nation. Texas music was more authentic, more real, and larger than life. The song’s sound also typifies the 1970s Austin scene: instrumentation of country music (steel guitars, fiddles, and so on) paired with smart, quirky, Texas- (or at least Western-) oriented lyrics that were sometimes sentimental, sometimes irreverent, sometimes satirical or tongue-in-cheek. Murphey later said he intended his song to poke fun at what he saw as a trendy and shallow marriage of disparate cultural impulses, but his words stuck nevertheless. Tongue-in-cheek or not, the song draws together various threads that made up the loose fabric of the 1970s Austin scene, a group of Texas singer-songwriters comfortable and familiar with country and rock, as well as older blues styles. The scene was inspired by the hippie movement and antagonistic to corporate commercialism. It longed for lost contact with nature and explored notions of freedom related to that perennial American fixation with the frontier West. The music invited audiences to listen to the stories or the poetry, or to sing along, to escape from the constraints of modern society, if only for a few minutes. Townes van Zandt might spin a tragic tale in a song like “Tecumseh Valley,” while Jerry Jeff Walker mused about a gifted bootmaker named Charlie Dunn. Hondo Crouch talked his way through a lyrical meditation on a “Luckenbach Daybreak.” Everyone joined in with Augie Meyers’s rousing accordion-driven number “Down to Mexico.” When it wasn’t quirky and funny— “a supernatural country rockin’ galoot,” to quote another line of Murphey’s song—it could be evocative, nostalgic, heartbreaking, vaguely yearning. The press and the music industry finally settled on the term “progressive country” to identify all that was happening in Austin from the late 1960s through the mid-1970s. Several institutions arose in and around Austin to support and sustain the scene. Among them was the annual Kerrville Folk Festival. This event grew from earlier outdoor festivals and small venues dating back to the mid-1960s—including Austin’s Zilker Park Summer Music Festival and the Chequered Flag folk music club—and, earlier, from a long tradition of honky-tonks and dance halls. Perhaps most deeply associated with the 1970s Austin scene was the Armadillo World Headquarters, a cavernous one-time armory converted to a live venue with its own staff artist who created posters for its events. While the Armadillo ultimately failed on financial terms, it came to be seen as the spiritual epicenter of Austin in the 1970s. The Armadillo World Headquarters stood out as only the most famous of many clubs drawing musicians and audiences to the Texas capital. Nightspots like the Broken Spoke, Texas Opry House, Split Rail, and One Knite regularly featured live music. The Armadillo World Headquarters featured “progressive country” artists, as well as those playing blues, r&b, and others with styles difficult to pigeonhole. Crowds gathered to hear Freddie King perform “Hide Away” and play his blues guitar on one night. On another, they heard Waylon Jennings sing “Ain’t No God in Mexico” and other hole-in-your-boot and bourbon-on-your-breath “outlaw country” songs. They paid $3.50 apiece for two shows in one night—1,500 people at each show—where Frank Zappa played “Theme from Burnt Weeny Sandwich” and other abstruse proto-art-prog jams. The Armadillo operators aimed to create a dual-purpose “cultural arts laboratory” and “beer garden of Eden,” featuring everything from reggae to once-per-month ballet, with a crowd that included “blue-haired ladies dancing with bikers watching.”7 In the end the Armadillo never kept economic pace with its grandiose artistic vision and ideology. It closed in 1980, but remains iconic for a special musical era in Austin, a sacred spot that lives in the collective memory decades after the building was torn down. In the meantime public television station KLRU (known at the time as KLRN) needed innovative programming. The Texas legislature had invested a heap of state money into the University of Texas Communications program. To justify the three-building complex dominating the intersection at 26th Street and Guadelupe, KLRN sought to expand its lineup with local productions. Bill Arhos gets credit for the station’s best new idea. Arhos had first joined the station in 1961 as a graduate intern, and initially did production work on an experiment in educational television called the Texas Microwave Project. Over the years he worked his way up the ranks: producer, director, program manager, and then program director for the station. In 1986 he became the station’s general manager and president. He retired in 2000. The closing credits for Austin City Limits included “Created by Bill Arhos” for years. (Six months after ACL Live at the Moody Theater opened in 2011 Arhos told me that he had “only been to the new venue once, and that a fundraiser, but they gave me another plaque.”) As Arhos recalled it, the inspiration for Austin City Limits came directly from the local scene. 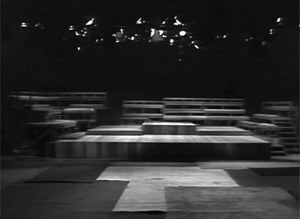 The show’s first producer, Paul Bosner, envisioned it as a televised version of the Armadillo’s simple magic: put a rug on the floor and have a concert. put a rug on the floor and have a concert.